Called the Father of the Return to Judea and Samaria, a true Torah leader with vision and courage. Until the day of his death, 35 years ago, on Purim, at the age of 91, Rabbi Tzvi Yehuda HaKohen Kook championed the principle of Jewish settlement in all of Eretz Yisrael. 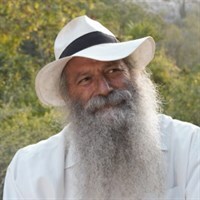 The only son of Rabbi Avraham Yitzhak HaKohen Kook, and Rosh Yeshiva of Mercaz HaRav in Jerusalem, he was the spiritual father of the renewed Jewish communities in Judea, Samaria, East Jerusalem, Gush Katif, and the Golan Heights. As a memorial, we are presenting a few of his teachings, may his memory be for a blessing.